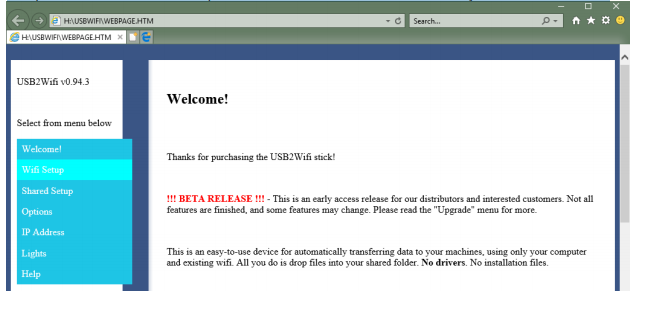 device will show up in your file browser as “USB2WIFI”. 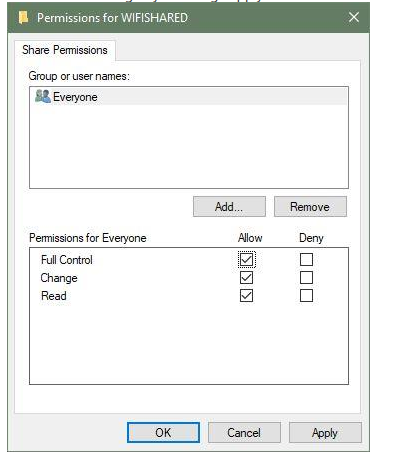 that you will need to “Allow” for permissions. 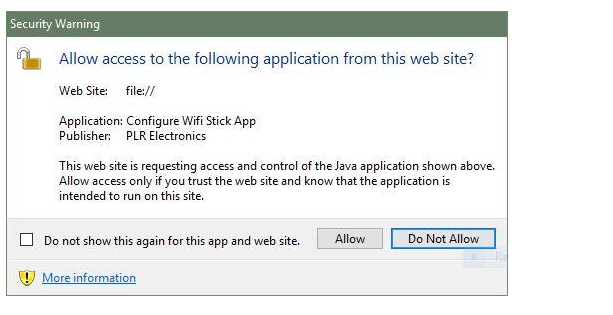 with JAVA to connect correctly. 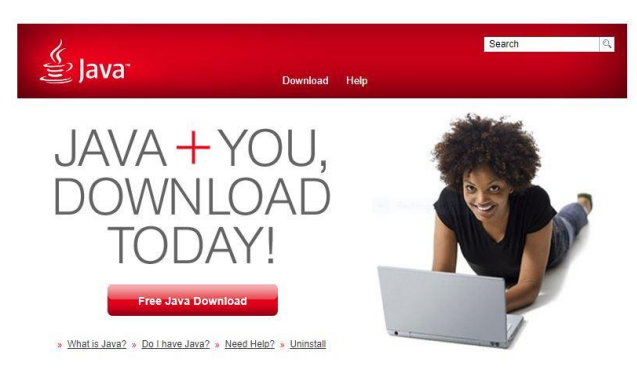 This is why it is important to have the latest updated version of JAVA. proceed to the next step in the process. of topics listed as tabs. WiFi Setup is listed as one of them, and this is what you will need to select. make sure that your selection is indicated by a yellow selection field. ample time for the process to complete. 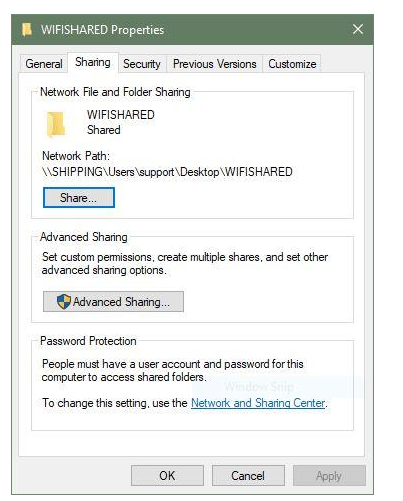 sensitive and must exactly match your WiFi password used for other devices on your network. 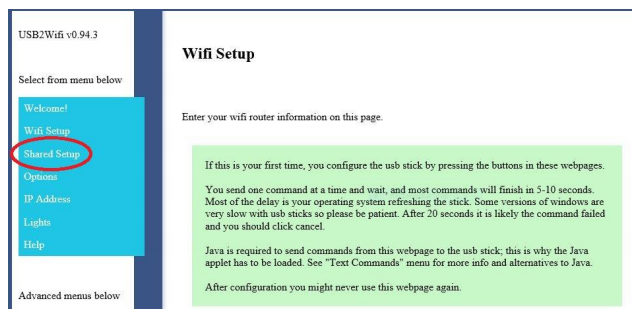 have connectivity with your WiFi device. 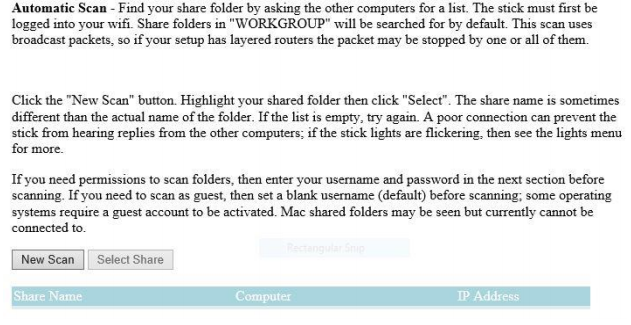 We will now need to begin the shared folder setup process. 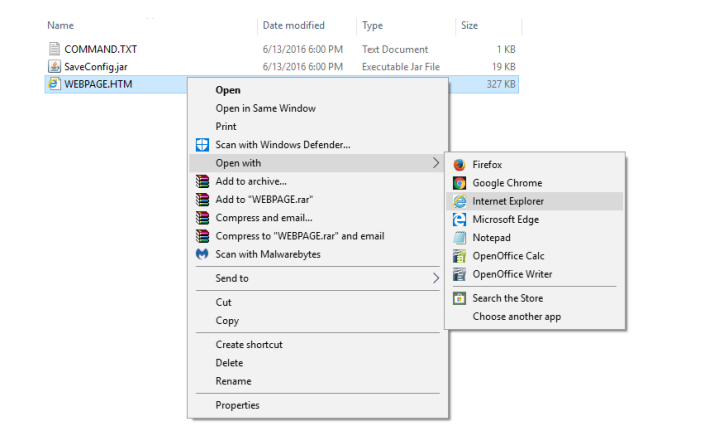 the bottom of the pop-up window that appears after right clicking the folder. 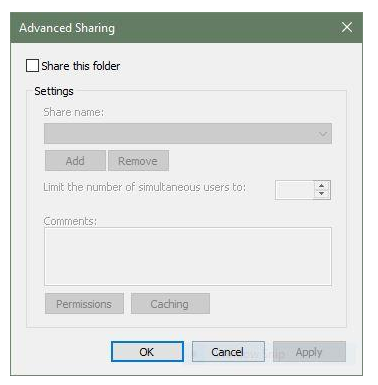 need to select the second tab from the left which is titled “Sharing”. 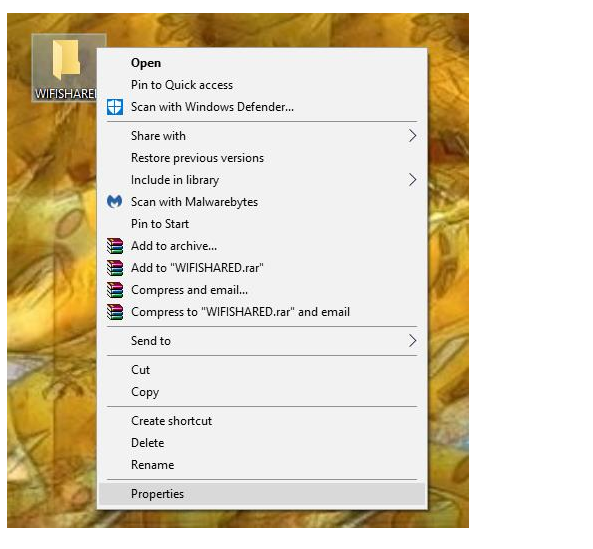 there will be a check-box with the text “Share this folder” next to it. Please select this option. 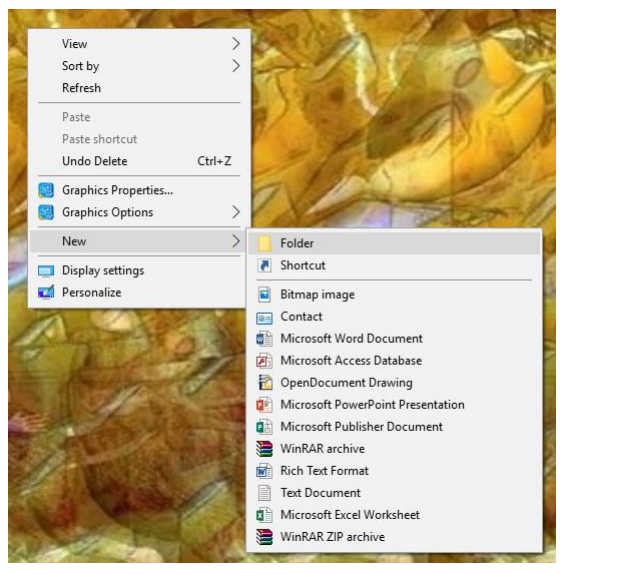 Upon making this selection you will see that other options within the window become available. Control, Change, Read. 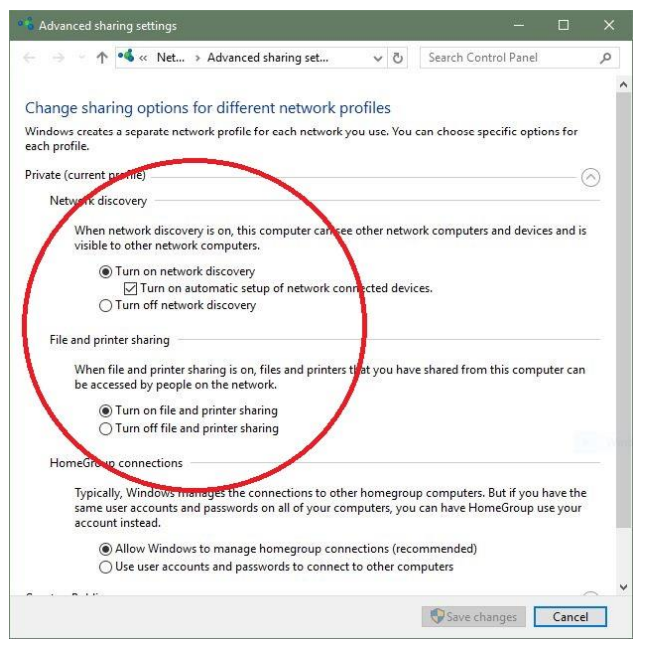 Please make sure to select the checkboxes under “Allow” for all three options. Please follow through by selecting “Apply” and then “OK”. This will open a new window with more options. You may now select “Close” on the properties window that we opened previously. Please select this option and the content in the main viewing area of the webpage will change. 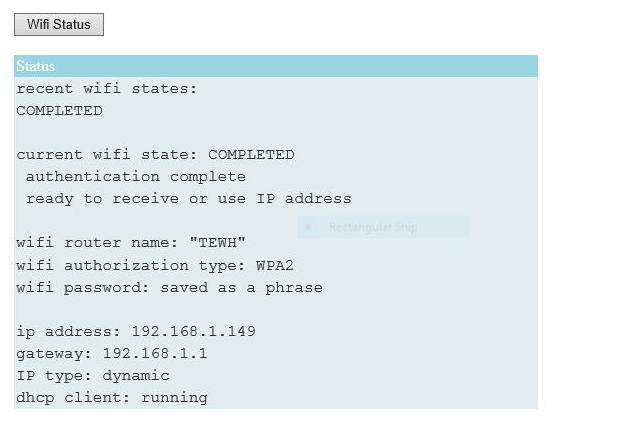 router name. Please select “New Scan” and allow ample time for the scanning process to complete. for the change to register, approximately 15-30 seconds. 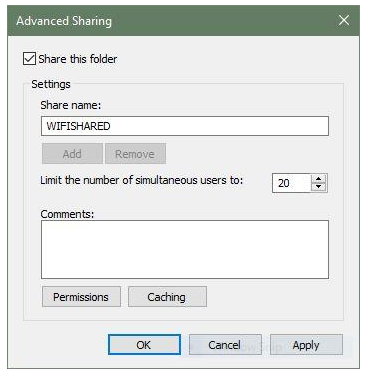 help to explain what is needed if the connection to your shared folder is initially unsuccessful. I.E. contacted as soon as possible for assistance with the setup process. 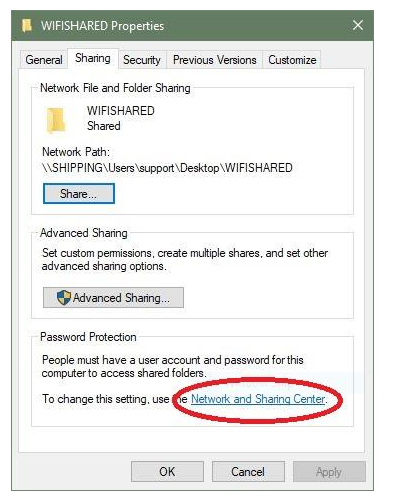 are now ready to share between the folder and WiFi Device. forward to providing continued innovative solutions to your businesses technical needs.